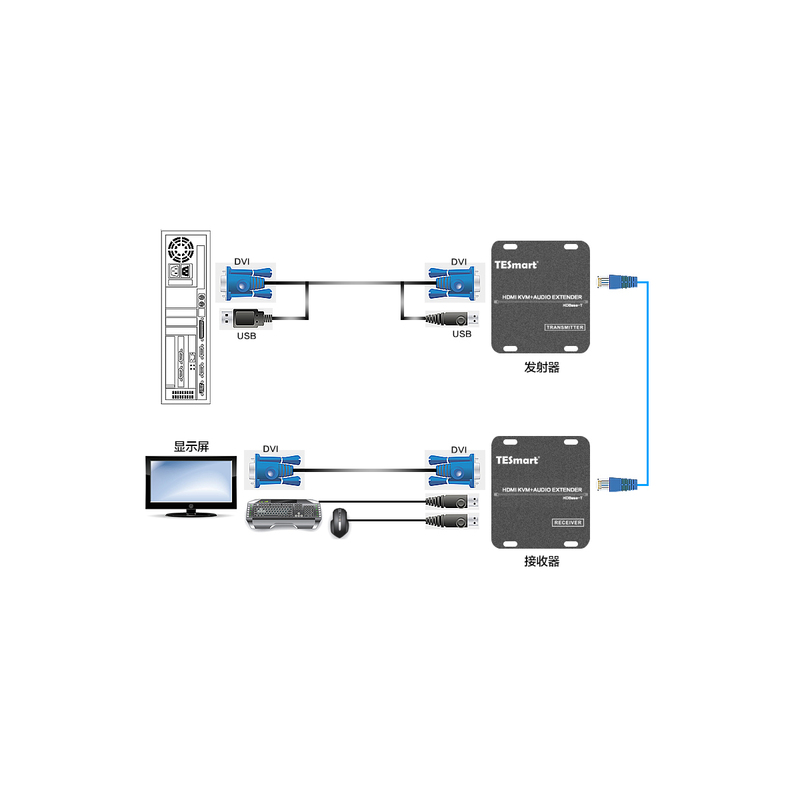 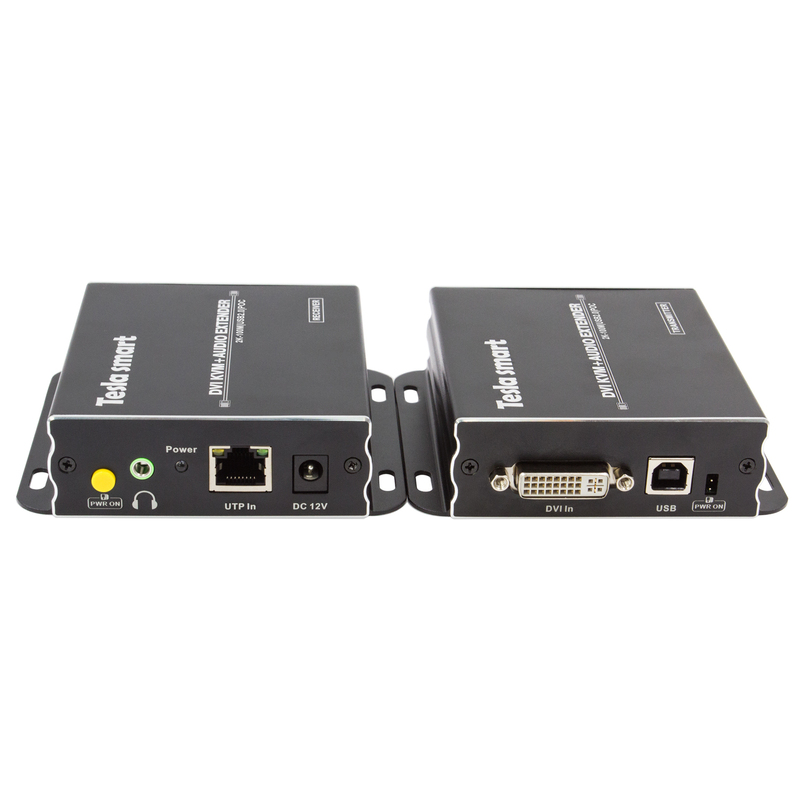 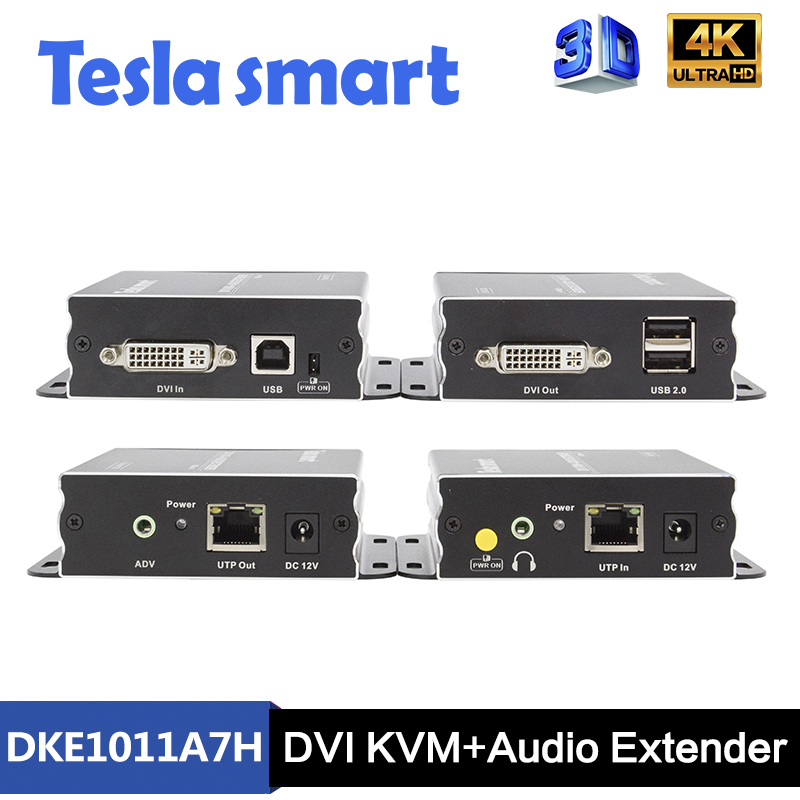 This DVI KVM Extender with audio out, DKE1011A7H, extends DVI and USB up to 100 meters over a single CAT5e/6 cable. 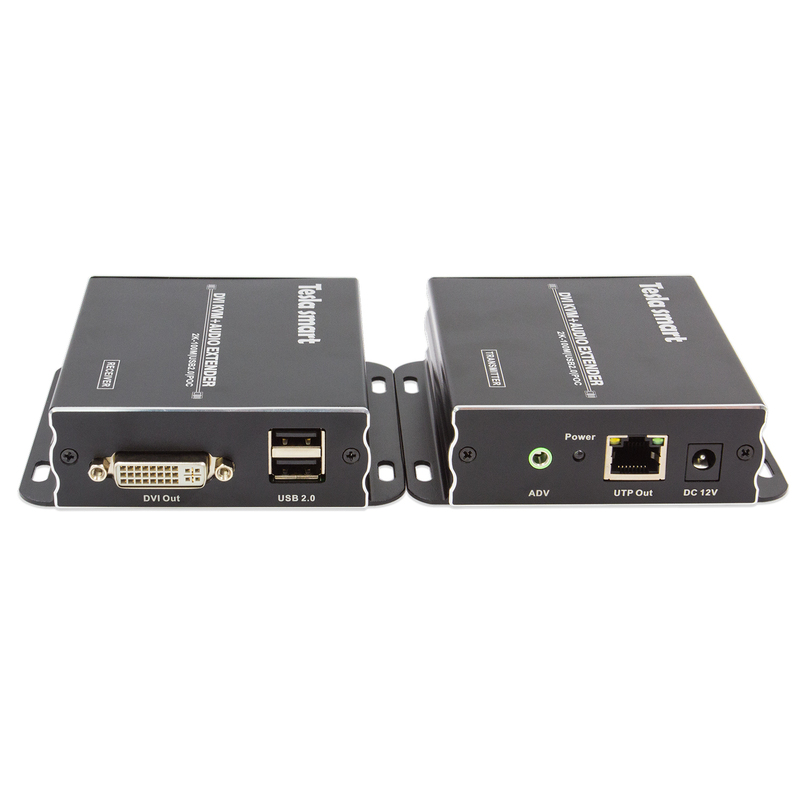 Providing access to keyboard, mouse, touch-panels, printers, and USB drive. 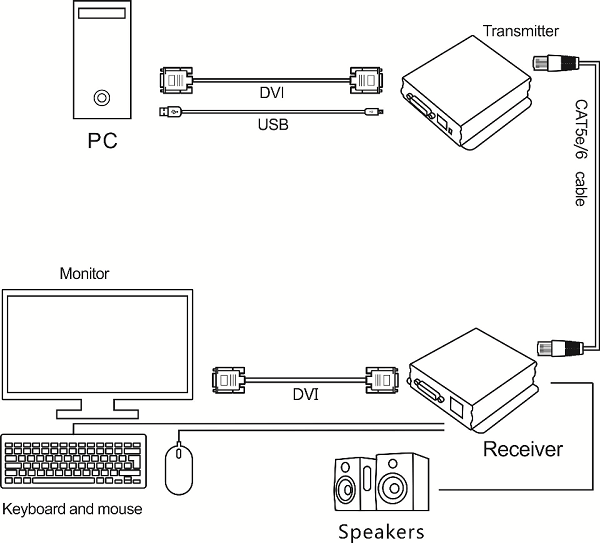 Support resolutions up to 1920*1080@60Hz. 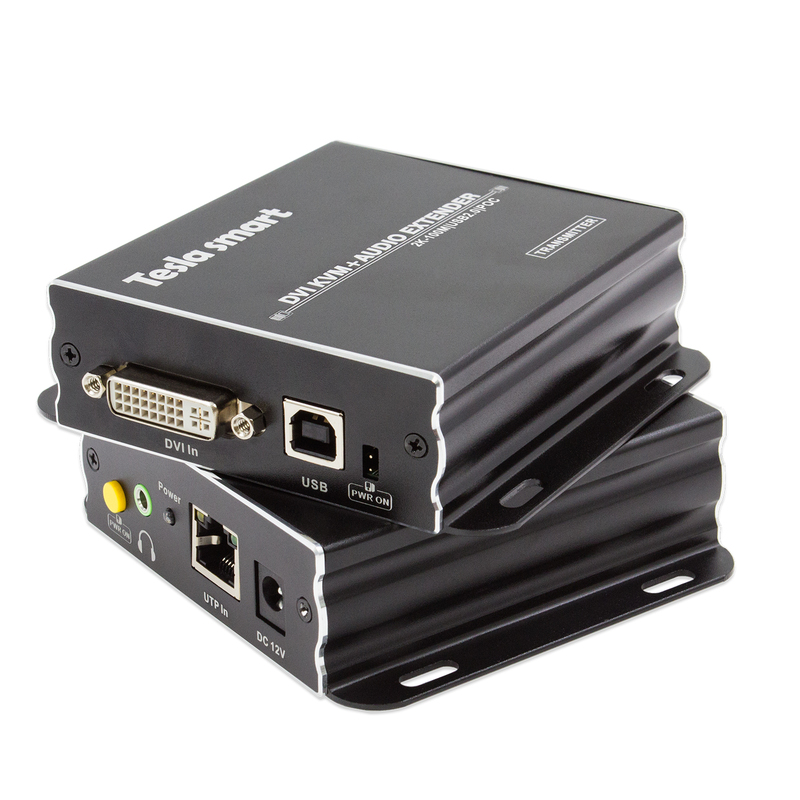 Support EDID pass though, best compliant with different display devices. 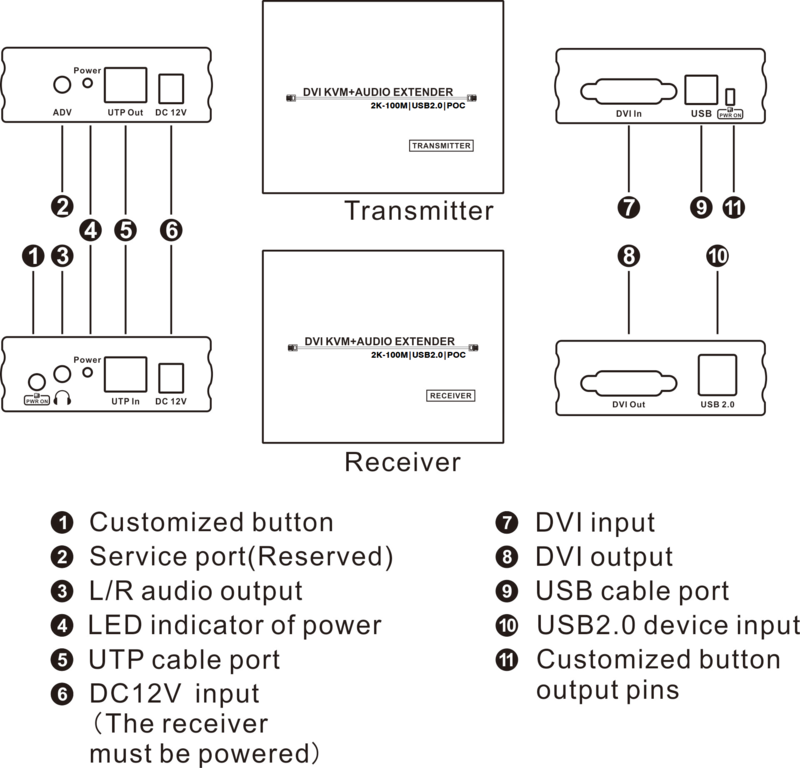 Support power over UTP cable, only receiver should be powered.